Having rented a car more times than I can count, I can easily identify the experience as the bane of any work trip or vacation. This is generally how the process goes for me: I get off a plane, sweaty and tired, shuttle off to the airport’s rental car depot, and wait approximately 45 minutes in a queue to pick up the car I’ve booked online. I then sign all the paperwork confirming that I want all the insurance coverage offered and brace myself for the final daily fee and total cost, which is always far higher than the one advertised. I agree with that platitude, but I also want to know, am I getting ripped off? Are there money and time saving hacks — besides watching the mileage and gassing up before returning — I could be implementing here? The answer, according to experts, is a resounding “yes”. Here’s how to go about renting a car so you can drive off the lot without totaling your bank account. “Car rental companies like Enterprise and Budget operate limited fleets, and they need to estimate demand several weeks in advance in order to have a car ready for you when you step off your flight,” says Kristin McGrath, savings and deals expert for Offers.com. “As you get closer to peak travel season for rental car companies, you’ll want to book as far in advance as possible to ensure that you’re not only getting a great price, but actually getting a car, too." To save money when booking online, consider using a cashback browser extension like EBates as well as a coupon code search extension like Wikibuy. It also can’t hurt to search Groupon and LivingSocial for potential discounts. If you can manage it, don’t book your rental car from the airport. Chris Trifilio, blogger at FrugalReality.com, says he’s actually saved money by paying for an Uber or Lyft to take him from the airport to a rental car depot. “I came out well ahead even after my $20 ride-sharing cost,” he says. The biggest cost that we encounter when renting a car is usually the insurance. If you don’t typically drive (and thus, don’t need/have your own auto insurance), then the first add-on item you’re likely signing up for is the collision damage waiver. This is the primary insurance that will reimburse the company for costs of damage to a car should you get into an accident while it’s in your possession. Now, you may also want to go with this insurance even if you have your own auto insurance, because, as Rossman notes, if you get into an accident, you’d still have to pay the deductible out of pocket, and the accident could incentivize your insurance company to hike up your rates. But there’s a better way, and one that actually comes at no cost to you. A number of credit cards offer primary coverage as part of its perks (check out NerdWallet’s list of cards that tout this benefit). The only caveat is that you need to pay 100 percent of the price of the rental on that card. Check with your credit card company to understand the coverage they offer. Liability insurance is typically not included with these credit cards, so you’ll want to either add that on with the rental car company, use your own if you have it. Another way to reduce rental car insurance fees is to buy rental car insurance outside of the rental agency. Companies like RentalCover specialize in this service. “As low as six dollars a day can cover you for everything,” says Stewart Barrett, head of growth at Cover Genius, the parent company to RentalCover. Rossman deems this a savvy alternative if you don’t have a credit card that qualifies you for coverage. One of the perks of being a member of Costco or BJ’s Wholesale is their partnerships with major rental car companies. McGrath adds that the AARP often offers discounts or fee waivers for rental car coverage. Rossman isn’t affiliated with the car rental service Autoslash, but uses the site to save on car rentals. Packages and bundles with hotels and/or airfare are designed to save you money, but these can make your rental car out to cost more than if you book it independently. And that cancellation fee could cost you around $50 (the price Alamo and Enterprise charge), and double that if you cancel within 24 hours ahead of scheduled pick up. Make sure your plans won’t change if you are pre-paying. It’s customary for rental car companies to have you do a quick review of the car you’re renting to document any existing dents, scratches or other cosmetic flaws. You cannot be too thorough in this examination, and it’s best to photograph any problem areas you spot so that they can’t be pinned on you later. Rental car companies charge a fortune for child’s car seats — “between $10 and $15 a day,” Rossman says. “You’re better off bringing your own,” says Rossman, with Barrett adding that it could be cheaper to just buy one in your destination. You stand a good chance at finding an affordable one in good used condition using apps like 5Miles or Facebook Marketplace. Another fee rental car companies just love to tack on your bill is the fee for passing through tolls. 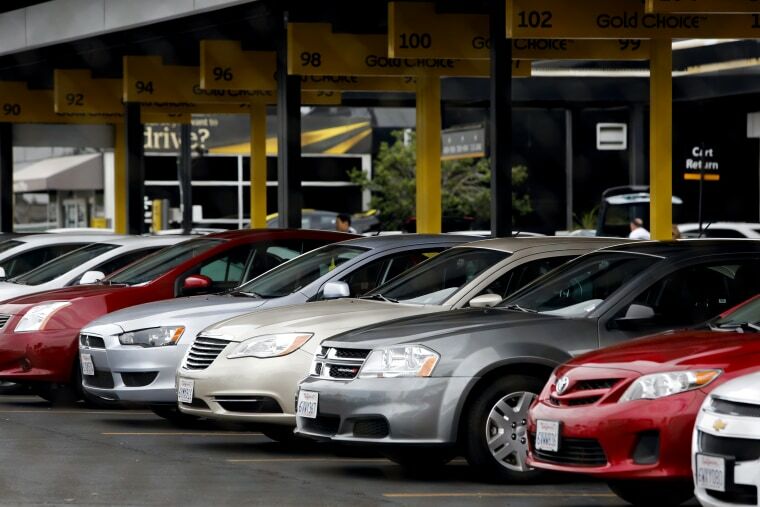 Hertz charges a $5.95 fee for every day you use its PlatePass, in addition to the price of the tolls incurred at their highest rate. Avis, Alamo, Budget and Enterprise each charge a $3.95 convenience fee for each day of the rental (up to a maximum of $19.75 per month) in certain areas with tolled roads even if you don’t drive there — on top of any toll fees incurred.